Over the years, my excessive sweet tooth has absolutely been slightly diluted. Actually, significantly diluted. Once upon a time, I could not go A DAY without eating something that is full of sugar. I was the worst. THE WORST. See, I go by the 80/20 principle. Eat RIGHT 80% of the time. Indulge 20% of the time. And exercise a few times a week at least. To be honest, I’m a slim girl. Even small for being an adult I suppose. Always have been small. From grade school I can remember being smaller than other kids. As a grown up, people always thought I was super fit. Not only am I slim, BUT, I also have an athletic build. So I’m told. Trust me, I’m no athlete. This is 100% due to genetics. It’s safe to say, I have a fast metabolism. In all honesty for the way I used to eat, I should be much bigger. At first I counted myself lucky. I can (and do) eat whatever I want, and I will never gain weight. Yes. I was that girl (no one is perfect, lol). IT CATCHES UP TO YOU. LOVE FOOD). I was not trying to lose weight, and the more I learned about health, the more I didn’t believe in the popular diets that come and go so often (this is another discussion all together). They might help you lose weight, but for how long and what quality of health does it give besides having a lower scale reading (which is not even a perfect measure of health)? 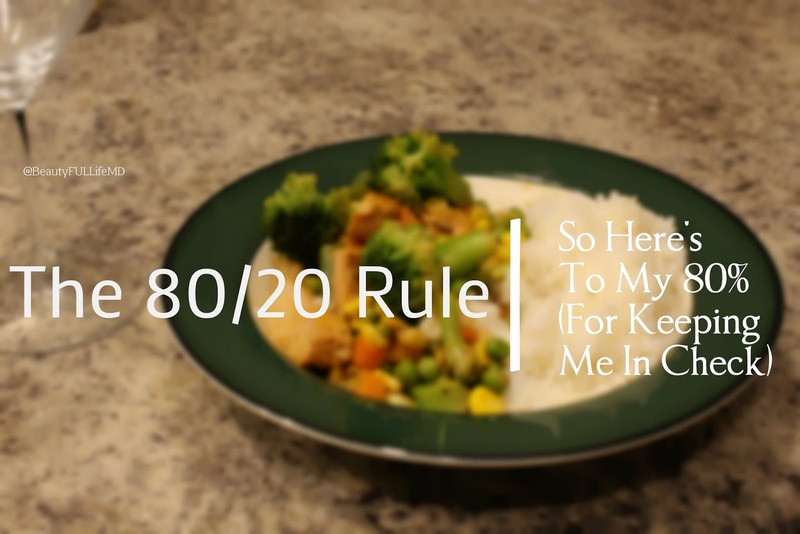 SO I learned 80/20. It’s worked so well for me so far, and I feel like it’s worked so well because it is not a diet. It’s a way of life. Diets have rules, and sometimes even numbers to follow, and eventually, a lot of them come to an endpoint. Then what? It’s much better to make a lifestyle change (though it sounds hard) than deal with rules and regulations. People do so much better at being consistent with things that don’t have so many rules, myself included. And what’s more, it allows for the occasional treat. Even better, what I’ve found is that my 80/20 slowly became 85/15 (owing to reduced want for sweets and heavy food). I wouldn’t be surprised if one day it might even become 90/10. So here’s to my 80% for keeping me in check. 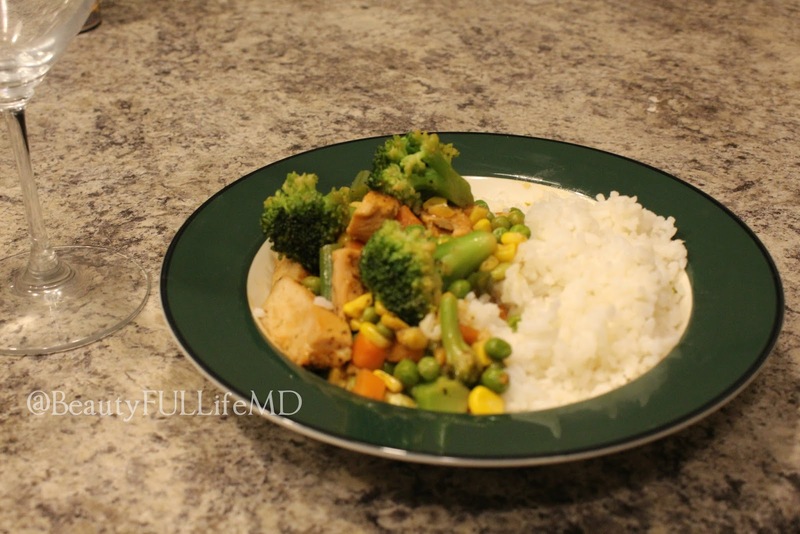 This is so easy, made possible by the most of it being frozen veggies. No peeling or cleaning necessary. This is ideal for you busy people with a full schedule and empty tummy. I recommend buying frozen fruits, berries and veggies as they can be quite cheap and are always ready to go! Of course any variation can be tweaked to your taste, this is just how I do it and what tastes good to me. Feel free to turn up (or down) the flavor with spices or a sauce, etc. But this is a good place to start. A healthy place to start 🙂 And a great addition to lunch or dinner to get your max amount of nutrients for the day. This recipe is extremely flexible. I hardly wanted to put exact amounts, and these are just estimates any way as you can put as much or as little to your taste as you like. Bonus! To make this into a complete meal with a little more bang, you can add a meat or meat substitute. I added some chicken. This might not even be new to you. Vegetables are not new to me, obviously. But sometimes it’s nice to have a reminder 🙂 Just go the tiny extra distance and throw in some veggies.